As companies such as Uber expand, ridesharing may become an important means of sustainable transport in India and in lower- and middle-income cities worldwide. Photo by Chris JL/Flickr. Ridesharing has been gaining popularity in the United States and Europe, with companies like Uber, Lyft, BlaBlaCar, and Wundercar facilitating hundreds of thousands of rides a month. This has presented a new, convenient, and affordable alternative means of transport in some of the world’s largest cities, including Los Angeles, New York, Paris, and Berlin, to name a few. After achieving huge success in these metropolises, the biggest ridesharing companies are expanding their operations into several emerging economies, such as India, which offers huge growth potential for this type of transport-on-demand. Uber – one of the largest ridesharing services in the world – began operating in India when it expanded to Bangalore in October 2013. In August, the company announced that it would launch its service in four new Indian cities – Jaipur, Ahmedabad, Chandigarh, and Kolkata, and now serves a total of ten Indian cities. With Uber working towards a deeper market penetration in the second-most populous country in the world, India’s ridesharing industry is set to grow and become quite competitive. In addition to the ubiquitous auto-rickshaws, Mumbai-based Ola Cabs is already a well-established player in the market – operating in nine cities with over 11,000 drivers. Both Uber and Ola Cabs offer competitive prices, with UberX charging a base fare of Rs 50 (US 82¢) plus Rs 1 per minute (US 1.6¢), and Ola Cabs charging a minimum bill of Rs 100 (US$ 1.6) for the first 2.5 miles, and an extra Rs 15.00 (US 25¢) for each additional half mile. Meru Cabs is another technology-enabled taxi service that operates in 11 Indian cities, and the owner claimed it books 700,000 trips per month. As is common in less-wealthy countries, many Indian cities have poor transport infrastructure, and have significant room to improve public transport options. The addition of ridesharing as a transport alternative could lead to a small revolution in the country’s transport industry. As these companies grow in India, however, it remains to be seen how they will become integrated with other transport modes. 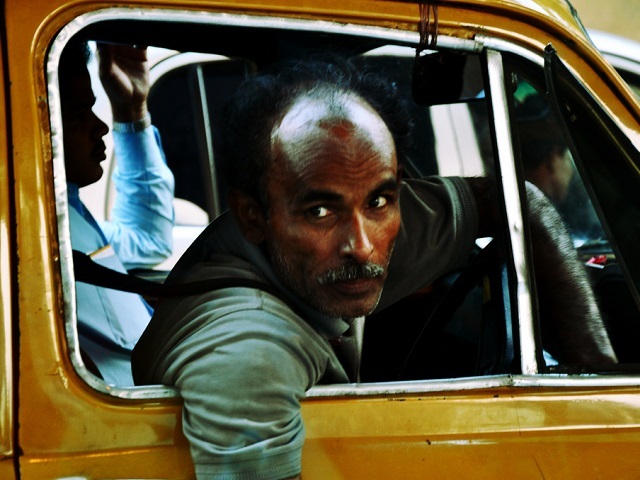 Can ridesharing complement public transport in India? Ridesharing can be more a convenient, fast, and cost-effective form of transport than its alternatives. For many, ridesharing may already be cheaper than owning a car. It can also be an important part of multi-modal journeys by addressing first-and-last mile connectivity to bus, train, or other public transit services, fueling the demand for these already established transport modes. There are some signs that the implementation of bus rapid transit (BRT) may have reached a tipping point in Indian cities, with new or expanding systems in Bhopal, Ahmedabad, and Surat that can dramatically improve mobility and quality of life. However, many cities in India still face heavy traffic congestion. Ridesharing may help connect users to these mass transport systems, making them more accessible. It may also shed light on the deficiencies of existing public transport systems in many lower-income cities in India and worldwide, prompting increased investment to improve these services. Ridesharing has the potential to revolutionize transport in places like India and other lower- and middle-income countries that are in dire need of more organized and efficient transport systems. It can provide a cost-effective and more environmentally friendly alternative to car ownership, and an ideal extension to existing public transit systems. Jordan Perch is a transport analyst and expert in consumer affairs for the automotive industry.